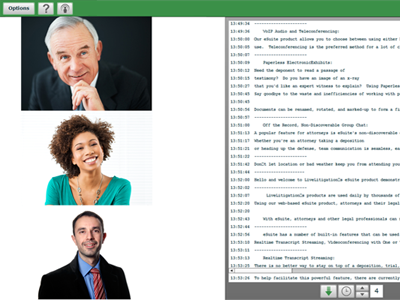 Video Conferencing, Electronic Exhibits, Realtime Streaming, & Non-Discoverable Chat in ONE easy to use web-based platform. The ONLY universal solution for delivering realtime to local litigation event participants. Allows for simultaneous internet connection and remote streaming to offsite attendees. Give the #1 Litigation Platform a spin. Fill out the form below. Local & Remote Solutions for Attending and Participating in Depositions, Trials, Hearings, Arbitrations, Mediations, Witness Prep, and more. Streamlined technology provides legal teams access to cutting-edge litigation tools all from one platform. 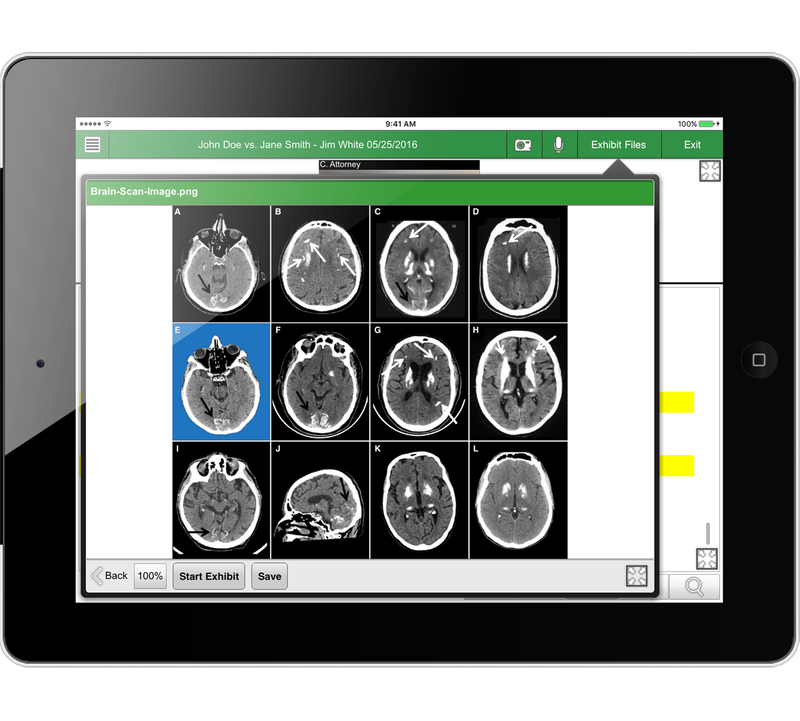 Apps available for iPads, Android Tablets or Smartphones, and the Kindle Fire. 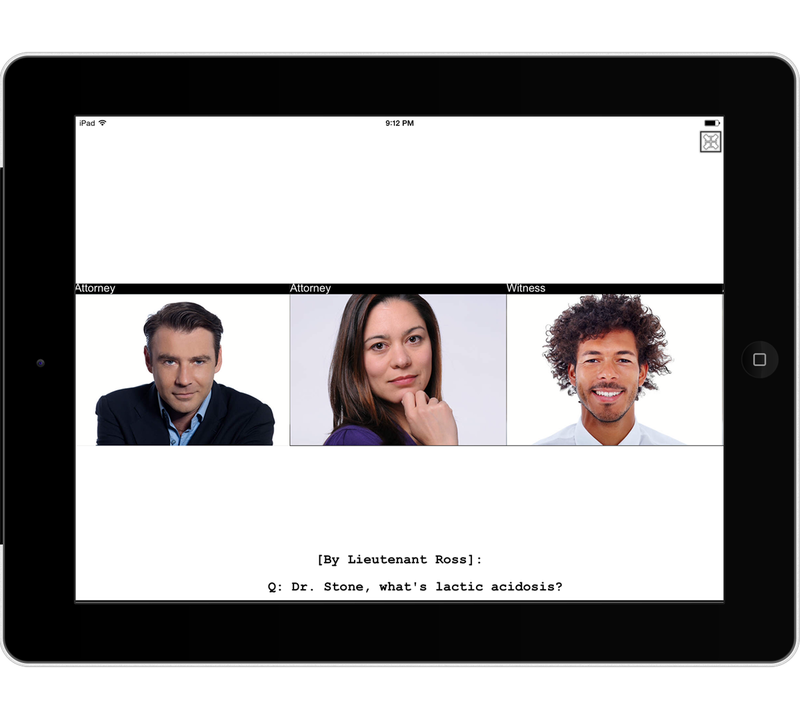 Bring the litigation event to you! Products designed to work on both PC and Mac computers, as well as across all internet browsers. 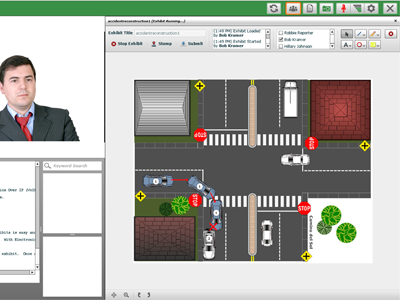 Universal platform integrates with all litigation realtime viewing software and connects to all CAT software versions. Our cloud-based web servers offer the most secure environment for data storage and encrypted communication. Support team available 24/7 to train, test, and ensure litigation events run smoothly and successfully. 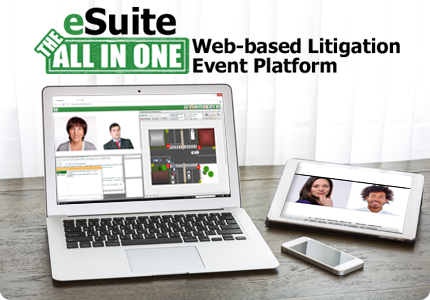 eSuite is the only way for legal professionals to participate in litigation events remotely. The feature rich, cloud-based platform emits the essence of attending depositions, trials, hearings, and arbitrations in person, while providing a set of dynamic tools for conducting more accurate, focused, and collaborative proceedings. 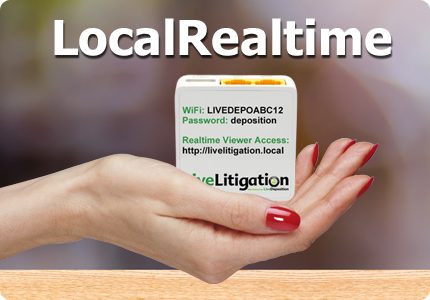 The secret to successful litigation events lies within LocalRealtime. 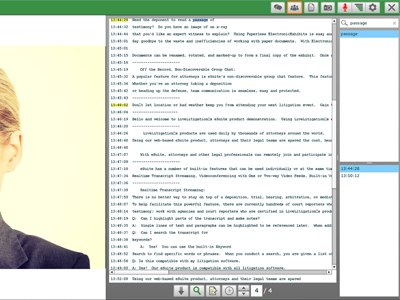 The feature rich, wireless platform allows legal professionals to easily access a court reporter’s realtime feed from any viewing, while providing a dynamic set of tools for conducting more accurate, focused, and thorough proceedings. 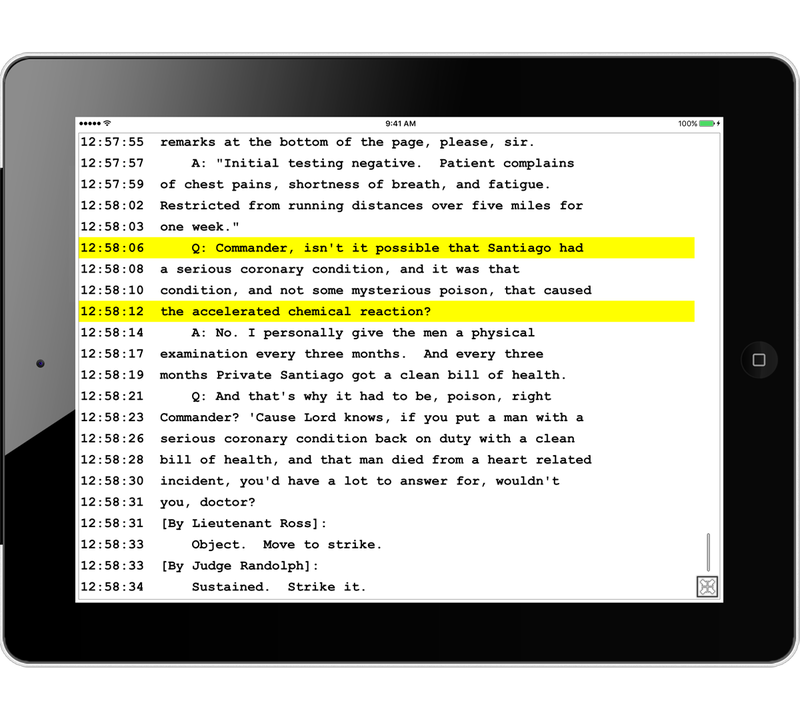 LiveLitigation's LocalRealtime is the best tool a reporter can use for streaming realtime text to attorneys. 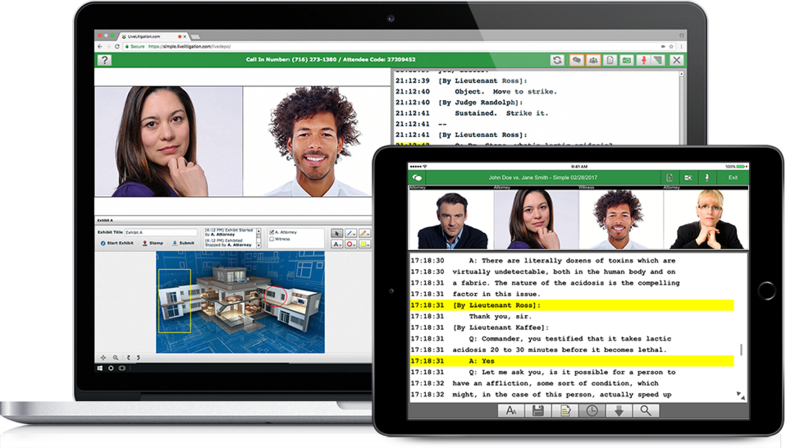 It works seamlessly with iOS and Android devices, as well as traditional proprietary software systems like Livenote and Summation. Ease of operation and cost savings are why we chose to go with LiveLitigation. Attorneys can remain in their office while conducting video depositions at remote locations anywhere as long as there is a high-speed internet connection. 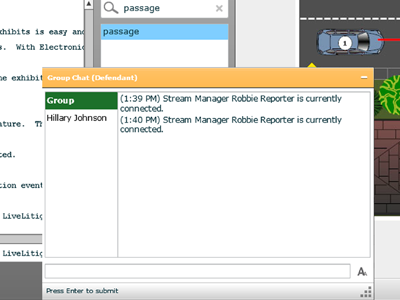 LiveLitigation’s LocalRealtime is the answer for all CAT Reporters! Easy setup. Short learning curve. Full functionality with all realtime viewers, so your client can use their favored realtime receive software. 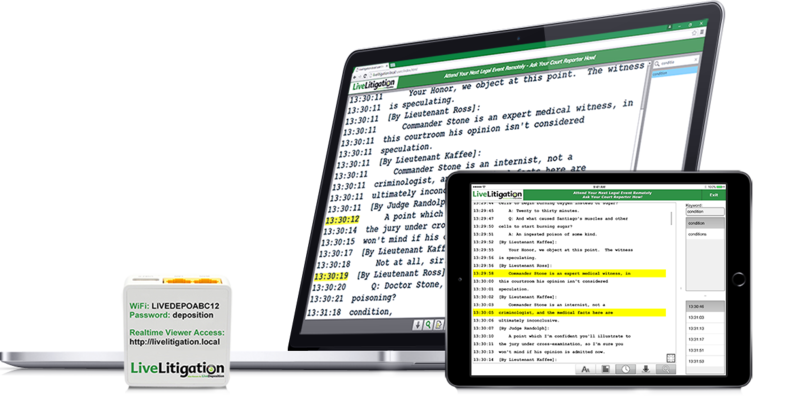 By bringing together court reporting excellence and state-of-the-art technology through LiveLitigation, legal professionals have the very best the market has to offer in terms of quality and delivery of realtime transcripts. LiveLitigation’s LocalRealtime is positively the best local realtime device I have used. It is simple to install and connect to all mobile devices, computers, or any of the realtime receive software (Bridge, CaseView, LiveNote, etc.). After three months, I gave up trying on my own to find an off-the-shelf device to offer easy realtime to my clients, without having to undergo major software upgrades. LiveLitigation's LocalRealtime has solved my problem! See It In Action. Schedule Your Live Demonstration! Contact Us Today!